“A study, published in 2007… combined surveys from 55,000 people in central Europe with data on 50 individuals’ sleeping and wakefulness patterns for eight weeks around the shifts to and from daylight saving time. The researchers found people never fully adjust their circadian rhythms to the hour shift associated with daylight saving time (or, as it is known in Europe, summer time). The issue of whether daylight savings time (DST) should be abolished comes up at regular intervals, and for good reason. As explained in the featured video, daylight saving time is intended to give you more access to daylight hours, thereby reducing energy costs and promoting healthy outdoor activities, and for nearly a century countries around the world have moved their clocks forwards in the spring and backward in the fall. But is it really worth it? There doesn’t appear to be any good reason for this time tinkering in today’s modern age, and a number of countries, and even regions within countries, have opted out of DST. Areas that do not have DST include: the northern part of Brazil, Saskatchewan (Canada), large portions of Australia, Puerto Rico, the Virgin Islands, Hawaii, American Samoa, Guam, Northern Mariana Islands, and the state of Arizona. The research is quite clear on the health effects of this meddling with time. In short, it’s not good for you, and spikes in both heart attacks3 and suicide4 in the days following daylight savings attest to the stark reality of such findings. The adverse health effects of losing an hour of sleep when the clocks move forward—and the ripple-effect it causes for days and weeks afterward—are significant, and really highlight the importance of sleep for mental and physical functioning. The “Monday cardiac phenomenon” has been recognized for some time.5 More cardiac events occur on Mondays than any other day of the week, and changes in sleep associated with the transition from weekend to work week may play a significant role. When daylight savings gets added into the mix, this risk tends to become even more pronounced One 2012 study6 found that heart attacks increased by 10 percent on the Monday and Tuesday following the time change to DST. Heart attacks decreased by 10 percent on the first Monday and Tuesday after clocks are switched back in the fall. An earlier study7,8 found a five percent increase in heart attack in the first three weekdays after the switch to DST. The risk decreased again after clocks were reset back to standard time in the fall. Studies also show DST causes the entire country to take an economic hit from lost productivity. When you consider that this happens once every year, the cumulative effect on productivity is likely to be very significant. According to Till Roenneberg, a German chronobiologist, your circadian body clock (which is set by daylight and nighttime darkness) never adjusts to the gaining of an “extra” hour of sunlight at the end of the day during daylight saving time. So you may actually remain slightly “off” for the entirety of the DST season. Data11 from the US National Institute for Occupational Safety and Health also shows an increase in the number and severity of work-related accidents on the Monday following DST. According to one 2009 study,12 workplace accidents and injuries increase by nearly six percent, and nearly 68 percent more workdays are lost as a result of injuries following the change to DST. Daylight Savings, Does It Really Save Energy? The origin for daylight savings time was rooted in the idea that it could save valuable resources. Ben Franklin appears to have been the first person to suggest the concept, after awaking at 6am one morning in Paris, realizing that the sun was already up well before him. Getting up earlier and going to bed earlier, thereby using less oil to power lights, could save a lot of money, he reasoned. 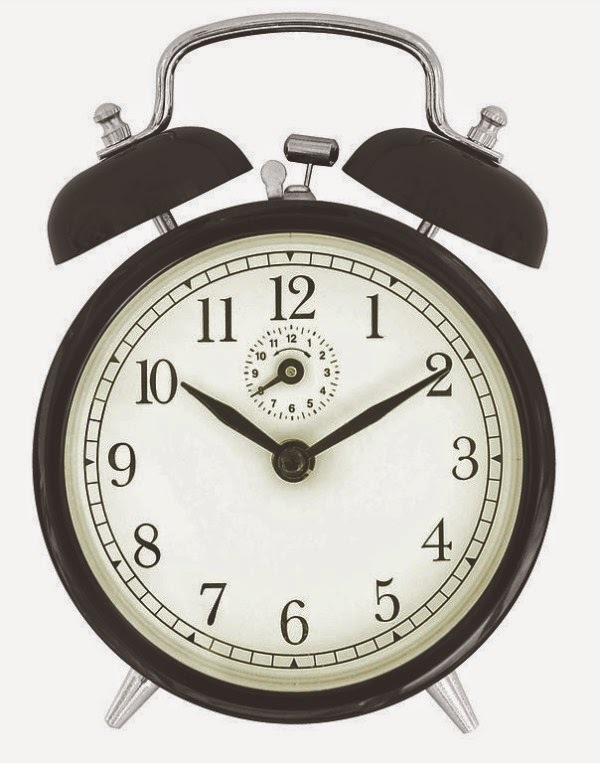 During World War II, the US mandated daylight saving time as a way to save wartime resources. According to the National Bureau of Standards, DST has virtually no effect on energy usage. A 2007 report by the California Energy Commission’s Demand Analysis Office16 also found that daylight saving time “had little or no effect on energy consumption in California.” But some studies suggest it actually wastes energy—and quite a lot of it at that. A story reported by the Wall Street Journal17 back in 2008 highlighted these findings. Up until 2006, only 15 of Indiana’s 92 counties adhered to daylight savings time. “Using more than seven million monthly meter readings from Duke Energy Corp. covering nearly all the households in southern Indiana for three years, they were able to compare energy consumption before and after counties began observing daylight-saving time. Readings from counties that had already adopted daylight-saving time provided a control group that helped them to adjust for changes in weather from one year to the next. Let’s face it, as much as you and I may disagree with DST, there is little to no likelihood that our collective objections will do anything to stop it. So what can we do? My strategy, and the one that I strongly encourage you to adopt, is to seriously commit to getting the highest quality and longest sleep you can possibly get. For decades I prided myself on getting by on five hours of sleep or less. I gradually changed that to between six and seven hours, deluding myself into believing that because I was so healthy I could do it. Finally by the time I hit 60, I began to realize that my perception of sleep was seriously distorted and that I need to carefully reevaluate it. Very similar to being unaware of the dangers of prolonged excessive sitting as being every bit as pernicious as not exercising at all. So in the past six months, largely as a result of feedback from my fitness tracker, I have been able to increase my sleep to 8.5 hours per night. I sincerely believe that using some type of sleep monitoring device, such as a fitness tracker, is the key to changing your behavior. For those concerned with the relatively insignificant amount of EMF they generate, there are monitors that sit on your nightstand that can monitor your sleep. Since my regular sleep is about 8.5 hours, when I travel and am forced to cut back my sleep to five hours or so, I’m relatively insulated from the damage of intermittent lack of sleep. In some ways I suspect that our ancient ancestors never consistently slept 8-9 hours so, just like intermittent fasting, we likely do just fine with intermittent sleep disruptions. But I sincerely believe that it’s crucial to understand intermittent. I think sleep disruptions should be the rare exception when your personal circumstances limit you from sleeping the more ideal 8-9 hours. Many recent studies have s shown that one of the most potent improvements in professional athletes was merely increasing their sleep by one to two hours, which allowed their bodies to get more full recovery. Chronic sleep deprivation is associated with increased blood pressure, heart rate, blood clotting, and C-reactive protein, an inflammatory marker associated with deadly heart attacks. Shift work is also known to dramatically increase all-cause mortality. According to Clinical Psychologist and sleep specialist Rubin Naiman, PhD, sleeping less than six hours per night may double your risk of angina, coronary artery disease, heart attack and stroke. Sleeping less than six hours per night may also increase your risk for diabetes by impairing the way your body responds to insulin. Impaired insulin sensitivity, also known as insulin resistance, occurs when your body cannot use insulin properly, causing your blood sugar levels to rise to unhealthy levels. Insulin resistance is a precursor to type 2 diabetes, as well as a risk factor in many other chronic diseases. There is very little good to be said about switching to daylight savings time. Research points to a long list of adverse outcomes, including increased heart attack risk, increased automobile accidents, lost productivity at work, increased chances of getting sick, and even higher suicide rates. There is also little evidence to suggest that DST reduces energy usage, which was its original intent. Be particularly mindful of using electronic devices in the days prior to the switch-over. Research20 on teens shows that using electronics for four hours during the day can increase your risk of needing more than an hour to fall asleep by nearly 50 percent. Using any device for more than two hours per day increases the likelihood of needing more than an hour to fall asleep by 20 percent. So, if you’ve ever considered “unplugging” for a day or two, the weekend of the DST switch-over is a perfect time to turn everything off, or cut down your use of electronics to a bare minimum so that you can optimize your sleep. Pay attention to your diet, making sure you are consuming plenty of fresh, whole foods, preferably organic, and minimal amounts of processed foods and fast foods; keep your sugar consumption very low, especially fructose. I invite you to review our total nutrition plan here. If you have a fitness tracker that tracks sleep, start using it. If you don’t have one, you may want to consider getting one. During daylight savings time, making sure you’re getting enough sleep may be more important than ever. One of the keys to optimizing your sleep is going to bed early enough, because if you have to get up at 6:30am, you’re just not going to get enough sleep if you go to bed after midnight. Chances are you’re getting at least 30 minutes less sleep than you think, as most people do not fall asleep as soon as their head hits the pillow. Many fitness trackers can now track both daytime body movement and sleep, allowing you to get a better picture of how much sleep you’re actually getting. Newer devices, like Jawbone’s UP3 that should be released sometime this year, can even tell you which activities led to your best sleep and what factors resulted in poor sleep. Help support this site by making your Amazon purchases through the affiliate links above. Same great deals. NO COST to you. Thank you!